Teaching with GIS employs an inquiry-based, problem-solving approach to learning that also promotes valuable spatial thinking skills. This approach not only benefits the teaching of geography but also science, technology, engineering, and mathematics (STEM) as well as the humanities. Because Esri strongly believes in the value of GIS in education, it has continually provided schools, teachers, and students with many resources. Esri has a longstanding commitment to supporting the use of GIS to enhance learning. Dating from Esri’s earliest years, this support initially came in the form of software discounts and donations, a continually expanding inventory of teaching materials, the Education User Conference, and the founding of the GeoMenter Program. The advent of ArcGIS Online in 2012 removed many barriers to using GIS as a teaching tool. In May 2014, Esri joined US President Barack Obama’s ConnectED initiative. ConnectED was an initiative to make American schools more technologically savvy. 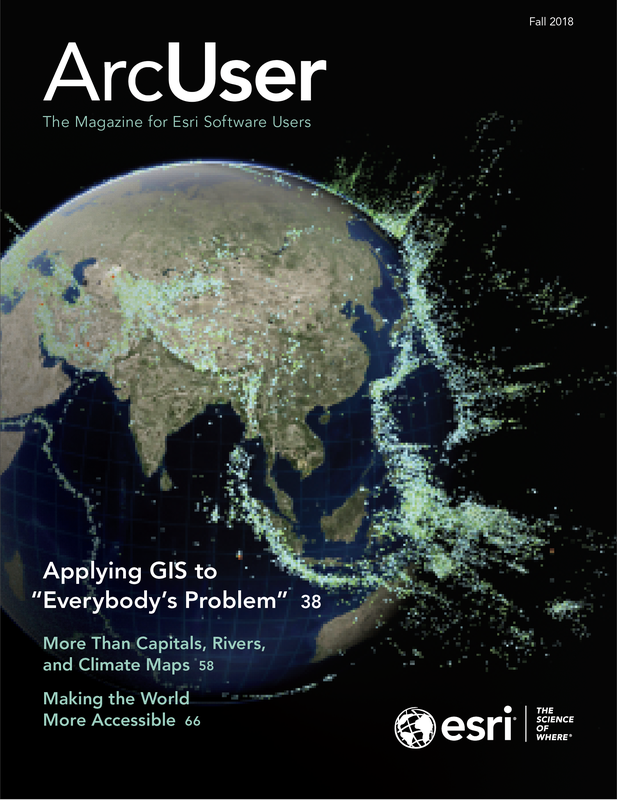 Esri offered a free ArcGIS Online subscription to every public, private, and home school in the United States. After having invested more than $40 million in ConnectED software donations, curriculum solutions, training, and support for K–12 teachers in the United States, Esri president Jack Dangermond pledged in 2017 to continue participating in ConnectED through 2019. 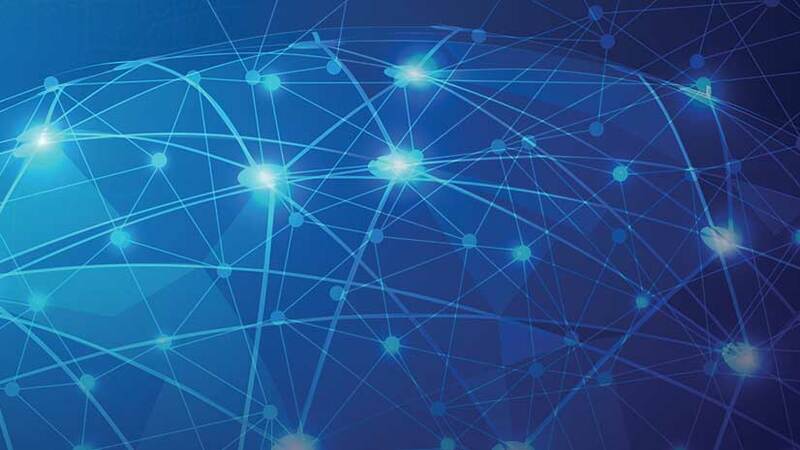 Following the success of ConnectED in the United States, Esri joined the Digital Skills and Jobs Coalition, an initiative of the European Union (EU), EU member states, and other stakeholders, which is committed to reducing the digital skills gaps in Europe. In December 2016, Esri pledged to participate in the GIS School Program, which offered free access to ArcGIS Online to primary and secondary schools and vocational institutions in 10 EU member countries. ArcGIS software is available directly from Esri for instructional use by individual K–12 schools, school districts, and states in the United States at no cost through the ArcGIS for Schools Bundle program. Currently there are more than 6,500 schools participating in the program. In August 2017, the ArcGIS for Schools Bundle became available for instructional use worldwide through Esri’s network of international distributors. Every public, private, home school, and youth-serving club is eligible. The ArcGIS for Schools Bundle program includes ArcGIS Online organizational and user accounts, ready-to-use web and mobile apps, ArcGIS Community Analyst licenses, and ArcGIS Desktop licenses. ArcGIS Online organizational and user accounts require only an Internet connection and provide access to web mapping, app creation, spatial analysis and mapping tools, and data resources from the ArcGIS Living Atlas of the World. The availability of low-cost Wi-Fi-only laptops and tablets and access to an ArcGIS Online subscription means teachers and students can do GIS, anytime, anywhere, on any connected device. Giving teachers access to specialized web and mobile apps, such as Collector for ArcGIS, Survey123 for ArcGIS, and ArcGIS Maps for Office, expands the kinds of projects that can be undertaken. ArcGIS Community Analyst provides access to extensive demographic, census, health, crime, and business data that gives student research added dimension. ArcGIS Desktop software, which includes both ArcMap and ArcGIS Pro, can be used for more extensive spatial analysis and visualization. The use of GIS in schools, supported by Esri, continues to grow worldwide. In the United Kingdom, more than 1,000 schools signed up for the ArcGIS for Schools Bundle during 2017–2018. Canada also has more than 1,500 secondary and 200 primary schools connected and teaching with ArcGIS. Spain has connected 56 schools and has another 50 in process. Schools in Lebanon, United Arab Emirates, Colombia, India, Japan, Rwanda, South Africa, and Lithuania all have successful programs of teaching with GIS. Schools in Greece, Austria, and many other countries across Europe have taken advantage of this offer. Over the years, Esri has developed different types of materials for teaching with GIS. GeoInquiries complement ArcGIS Online capabilities. They are short, standards-based inquiry activities that can be used for teaching the map-based content found in commonly used textbooks in study areas that include American literature, earth science, environmental science, government, human geography, mathematics, cross-curricular social studies, United States history, and world history. Each GeoInquiry focuses on an activity that can be presented quickly from a single computer and projector or modified for students’ hands-on engagement. 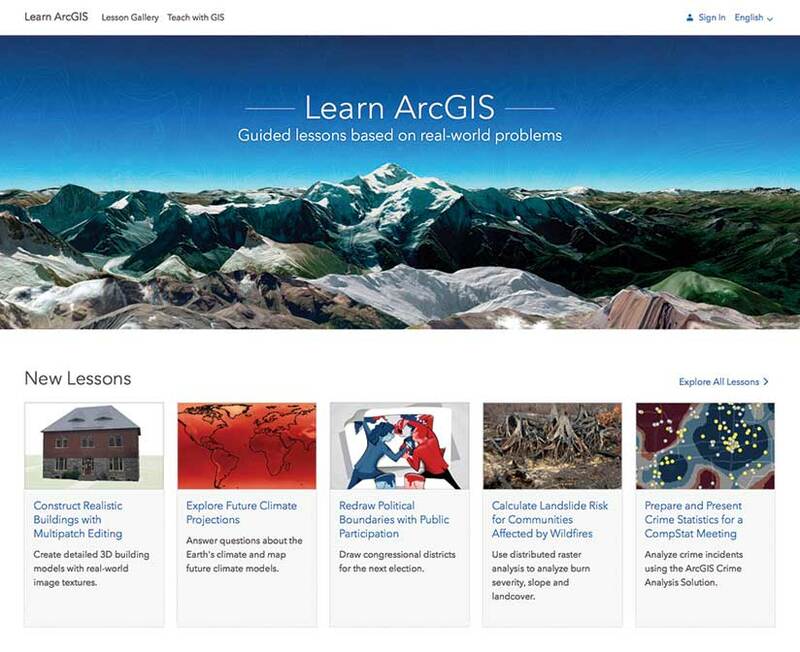 Learn ArcGIS lessons provide teaching resources. New lessons are constantly added and often include topical subjects. Esri also supports teaching with GIS through Learn ArcGIS. The website hosts individual Learn ArcGIS lessons that link to data resources and are constantly added, and often include topical subjects. The site allows filtering by level of proficiency, geospatial capabilities taught, subject area, and software requirements. Implementation guides for teachers, schools, and school districts that are available on the site provide road maps for integrating mapping and location analytics into schools. To learn more about the resources and opportunities available to schools from Esri, visit the GeoNet group at community.esri. com/community/education.